As companies make public relations decisions for the year, considering what to look for in a PR agency partner is a key commitment. Some do Google searches or scan PR rankings sites to research prospective firms, but that’s rarely a thorough enough way to narrow the field. There are important traits that clients can only suss out if they conduct interviews or seek capabilities presentations as they create a short list of likely contenders. From the beginning of any PR partnership, a client should feel that the team has thoroughly researched its industry and brand, competition and target audience. Prospects should feel confident that competing firms know the company and the assignment inside out. In particular, decision-makers should look for partners that are steeped in industry and brand language. This “shorthand” and the insights it implies usually offers a comfort level and typically bodes well for a quick start to the relationship. It sounds like a no-brainer, but the truth is that communications people aren’t always excellent communicators. Any materials prepared by the PR firm need to be top-notch — clear, well-written, and persuasive. But the ability to communicate well will also be evident in how astutely the team questions the potential client, how carefully they listen, and how they bring answers and insights to their proposed work. 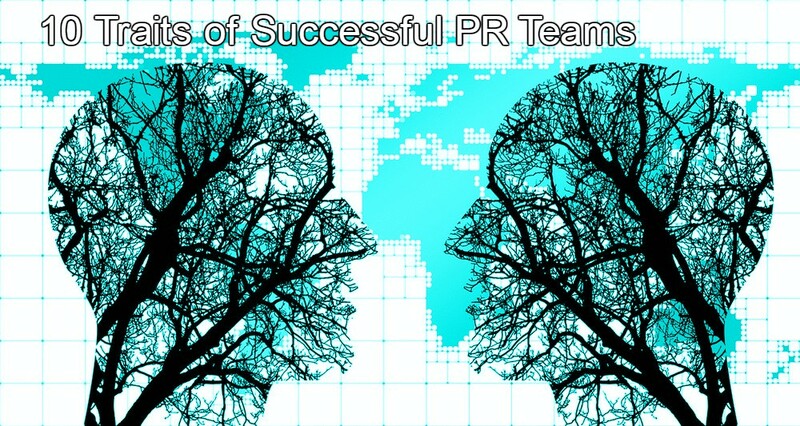 Those searching for a PR agency will usually have relevant experience as a pre-qualifier for firms under consideration. In certain circumstances, an agency’s experience may be incredibly spot-on with several case histories that prove it. But recent experience working in a specific industry and knowledge of the media, analysts and competitors in the area is only part of the equation. The best fit may be with a team that has helped organizations overcome similar challenges – a dated image, a lack of visibility, or the absence of thought leadership in their category. We advise agencies in the search process to be very thoughtful about the kind of skills and experience that are most valuable and relevant. Some companies are so pressed for time that they’re content to choose a PR partner without meeting face-to-face, but we favor a chemistry test if possible. The presentation process provides an important opportunity to gauge the kind of communication skills a team has – not just for those in the room – but during an engagement where they will need to present and negotiate on the client’s behalf with media, potential partners and others. An in-person discussion at an agency’s offices also tell you a great deal about its culture, teamwork, and daily environment. To woo and wow a prospect, teams must banish anything that smacks of “off-the-shelf.” A presentation should offer creative concepts that are well thought out, fit the brand personality and appeal to media, assuming earned media is a goal. A good agency will be able to demonstrate, based on past experience, how and why an initiative will succeed, but the gut-level response must be there. Most importantly, they should paint a picture of the concept simply and logically, because anything too convoluted will miss with the brand, and most likely with media as well. The most creative idea in the world is worth very little to a brand if it can’t be justified. Smart firms present creative concepts that do more than just attract some press. The proposal must incorporate brand KPIs (key performance indicators) such as organic and social traffic, awareness, and intent to purchase. It’s best for a firm to present its initial assessment of KPIs but work with the client to hone and refine. As well, the PR partner should offer metrics to measure ROI (return on investment) and present a budget that is tight, detailed, and realistic. For more information about how the PR industry quantifies and measures outcomes, check out this post. The smartest PR strategists know when to speak and when to listen. The team will impress the prospect and learn so much about its leadership, goals and expectations simply by being better listeners. PR people inherently want to talk, but the decision-makers should look for the PR team that knows the value of quiet listening and absorbing and inculcating what key company players have to say. That value can be assessed by a team’s smart questions and conversation following a good listening session. The most successful PR engagements are true partnerships, and the best collaborations are achieved after gaining mutual trust. We look to work with clients to brainstorm story angles, content concepts, and event ideas so that some inherent buy-in happens early on and it isn’t all about the agency “selling” an idea every time. But that kind of collaboration doesn’t happen overnight. Agency teams should prove themselves first and become true partners – serving the client’s best interests with their own expertise and knowledge of what works. These true collaborations produce the best outcomes, as well as the most successful partnerships. The PR partner who treats client funds and resources the way they would treat their own will win client confidence and pave the way towards a healthy PR relationship. While there will also be some clients who find themselves in financial straits at some point and have to sever a relationship, the agencies that consistently demonstrate smart fiscal sense have a much better chance to maintain or re-up for future engagement. Many great PR partnerships are tested by a problem in the relationship. This can stem from a miscommunication or an outright mistake made by either party. Frequent, honest communication will help smooth most bumpy roads, and accountability is key. Both sides of the partnership will benefit from a culture of accountability, where teams take ownership of tasks and keep open, proactive communication on status and results. Each side should also be honest when something needs to be improved or where they need more help or resources to achieve success. Ultimately its up to each member of the team to take responsibility, report on progress and provide constructive criticism and feedback when necessary to keep things moving in the right direction.